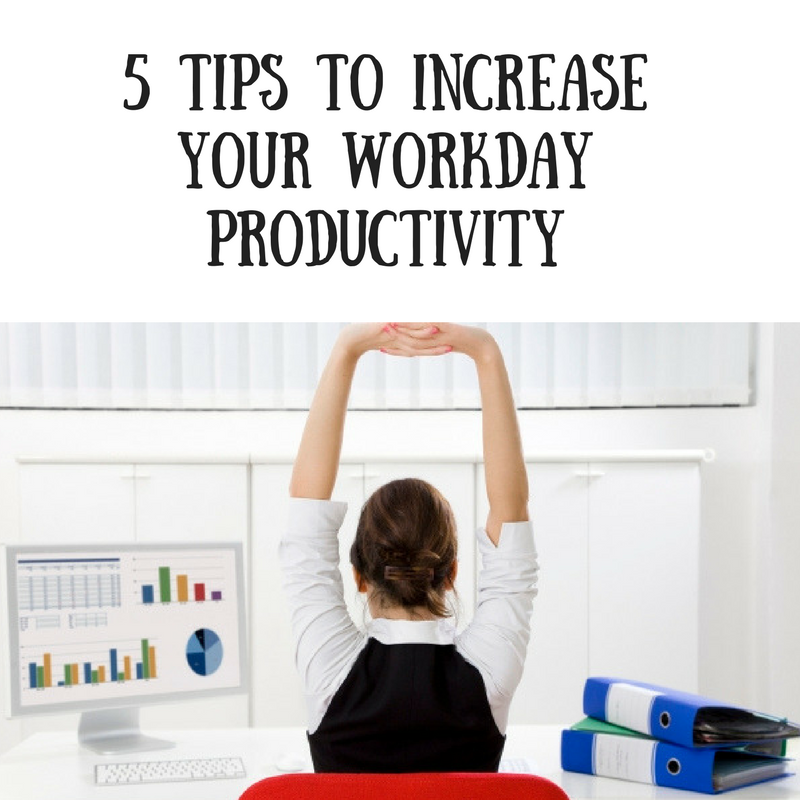 5 Tips To Increase Your Workday Productivity - Tips and tools that add value to your world. To give you balance and to make you feel good. You can use these in life, business or both. As a Success Coach, one of the questions I get asked is “How can I increase my productivity during my work day?” and I really enjoy sharing some practical tips that have helped me in my own life. We also discuss a variety of things, like how to run a successful home based business and what options they can choose from to fit their own lives. It’s so great to see my clients follow their hearts and take action in their lives. I want to see them succeed and I want the same for you. Today, I am sharing some of the pieces of our training with you. Anyone can use these tips and apply throughout the day or where needed. You don’t have to have a home based business to apply these simple things. They can apply to anyone who wants to make a positive change. Make sure you eat. It’s easy when you’re in the midst of doing things that you can forget to eat. There are times that I do this and I’ve learned that work will always be there. So, set I set aside and plan 15 -20 minutes, several times throughout the day to make sure I eat something healthy. I know that if I don’t keep myself properly fueled, I’ll end up cranky (Yep, I get hangry!) and I don’t function like I should. I tend to “graze” throughout the day eating 5-6 mini meals. In addition, I really work hard on Sundays to to prep and plan for the week. I’ve learned that without this, it’s easier to make unhealthy choices. Drink your water. Yep, we all know we should drink water throughout the day but some of us don’t. I didn’t for years and now it’s become a staple to get me through the day. To give it a little variety, I’ll add in some fruit slices or I’ll drink mineral water and sparkling water and add in a slice of lemon or lime. I like to aim for half my body weight in ounces per day. I’ve noticed that not only does water help with my weight loss but my skin looks so much better too. Add in fitness. Even a walk around the block can help boost your day and clear your mind so you can actually concentrate better. Some of the busiest people I know find a way to get some form of fitness in. Strive to find an activity that will inspire you to do it daily. Not only will it help you clear your mind but it might also aid in your weight loss too. Let me add that you want to be sure to stretch throughout the day and don’t slump over the computer by watching your posture. I can’t tell you how much your body will thank you just by getting up and moving throughout the day. Make your workspace appealing and functional. I like my work area to be clutter free and organized. It helps me function better throughout the day. I’ve gone out and found bins and baskets, a white board and some other fun things to help me stay on track throughout the day. I also keep pictures of my girls and buy myself fresh flowers from time to time. I think it’s good to make your workspace an enjoyable place, especially since we tend to spend a lot of time there. Reward yourself each week. I’m a BIG believer in rewarding yourself. I think with as hard as we work in our jobs that we deserve something enjoyable each week. You don’t have to spend a lot of money to do this either. It might be something like having a glass of wine and a long bubble bath or it could be dinner out with friends. Celebrate your successes. You deserve too! If you were to share a business tip with someone, what would it be? Please share with us.